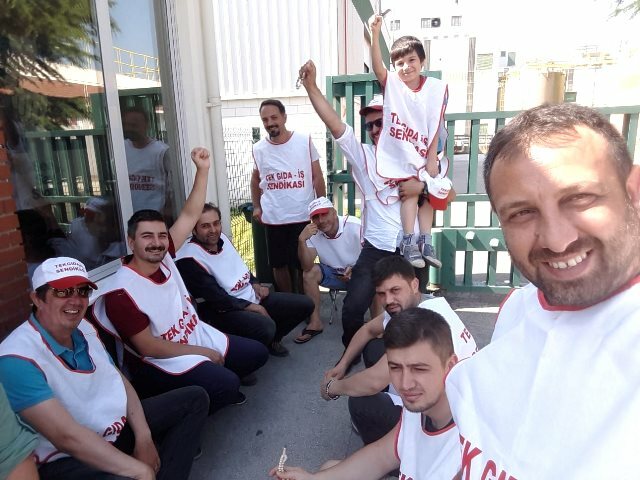 Fourteen union activists have been continually protesting after being unfairly dismissed from their jobs on April 17, 2018 while organizing a union at Cargill-Turkey's corn-milling facility in Bursa-Orhangazi. This is not the first time Cargill management in Turkey has fired workers for attempting to exercise their rights. In 2015, a court ruled that workers were unfairly dismissed for trying to organize a union at the same plant. Turkey's legal system, however, offers an escape route: as an alternative to reinstating workers who are sacked for forming or joining a union, companies can pay compensation. Cargill opted to pay for its human rights violations rather than reinstate the victimized workers. Cargill has been repeatedly informed of these blatant rights violations by the IUF and its affiliates with Cargill membership. The company, however, has failed to take any action to remedy the abuses. CLICK HERE TO SEND A MESSAGE to Cargill, insisting the company reinstate these 14 workers and allow workers in Bursa-Orhangazi to freely exercise their right to join a union without retaliation from Cargill local management.